Light up your living room, hall or bedroom with this gorgeous cream ceramic table lamp. With a crackled effect finish to its body gives it a look of age. It sits proud on an antique effect brass base and its matching neck is crowned with a beautiful tapered, pleated faux silk shade which is a beautiful champagne colour to add a look of subtle sophistication. Perfect to sit proud in the centre of a sideboard or table or even by the side of your bed. The lamp will be a practical focal point in any room or setting. 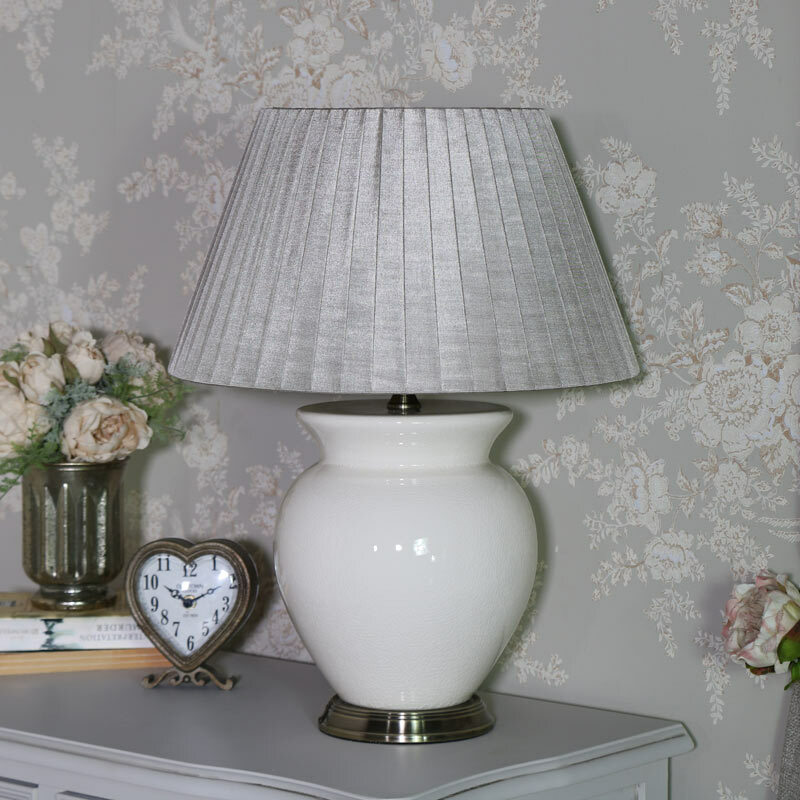 Light up your living room, hall or bedroom with this gorgeous cream ceramic table lamp. With a crackled effect finish to its body gives it a look of age. 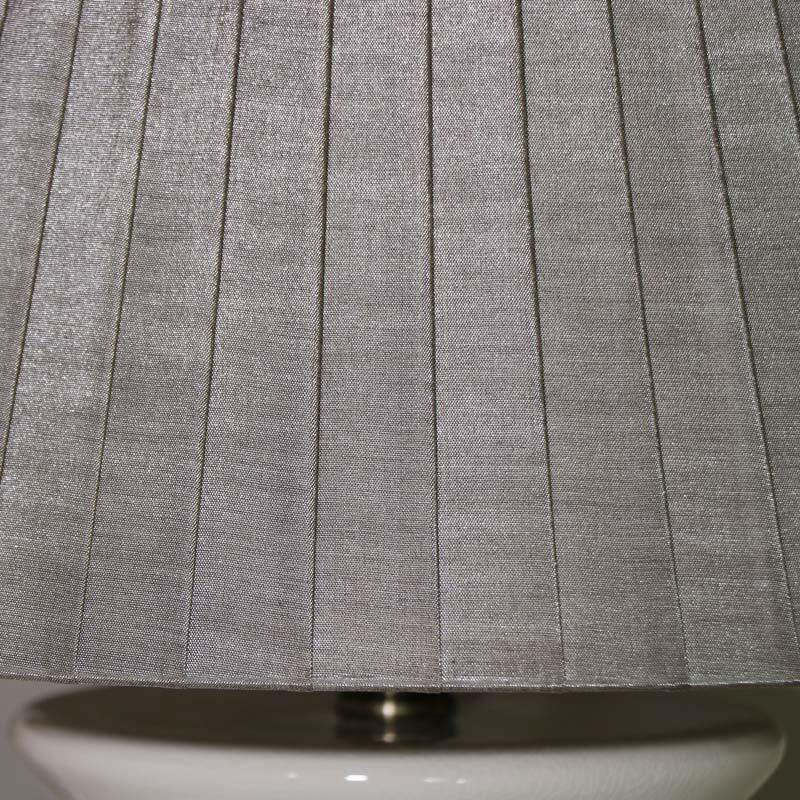 It sits proud on an antique effect brass base and its matching neck is crowned with a beautiful tapered, pleated faux silk shade which is a beautiful champagne colour to add a look of subtle sophistication. 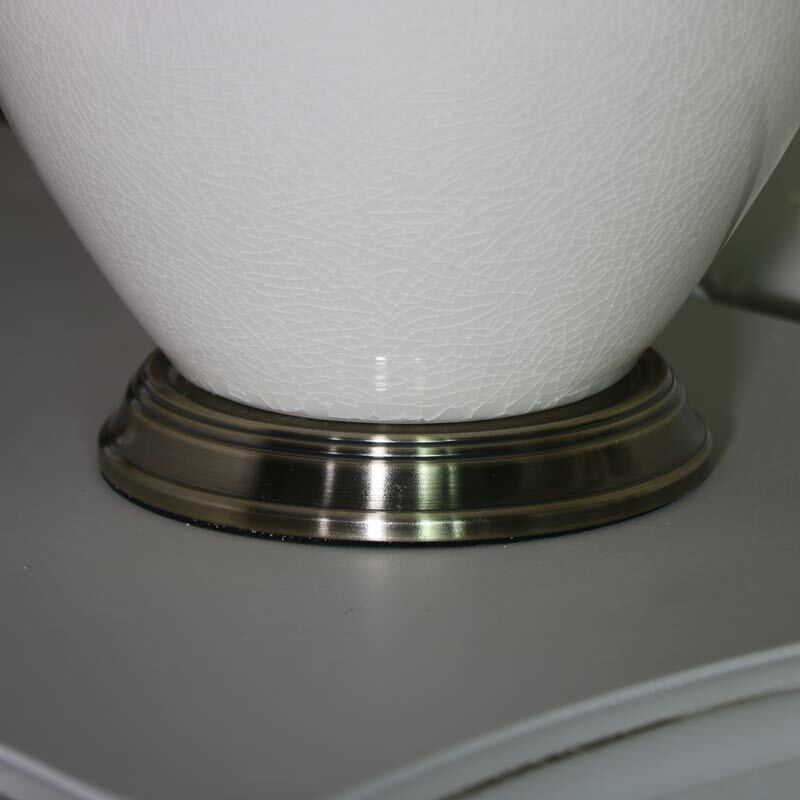 Perfect to sit proud in the centre of a sideboard or table or even by the side of your bed. The lamp will be a practical focal point in any room or setting. The lamp has a built in, inline switch and takes an E27 GLS Max 60W Bulb which is not included.